One of the coolest features of an iPhone is that it is not only a great smartphone with state of the art technology and a smooth performance but because it is a treasure house of apps. The app store designed by Apple contains more than a million apps and many of these are aimed at designer and developers. These apps make life easier and help designers to be more creative and efficient while doing their work. 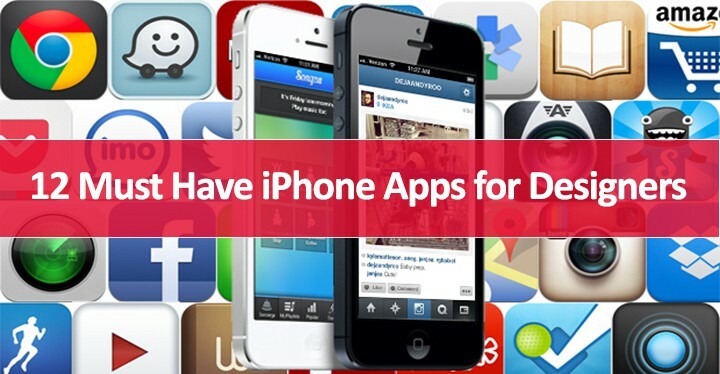 This article takes a look at 12 must have apps for your iPhone if you happen to be a designer or a developer. This is a wonderful media painting app for iPhone that you must have if you are a painter or specialize in sketches. It has all the tools and features to be as creative as you can be while being on the move. It can help you add up to 5 layers to your drawing. You can also make use of eraser to reveal the underneath layer of a photo after dropping it inside this app. You can not only paint but also erase and smudge using tools inside the app. You can add any color from a wide variety of hues to your drawing. If you are a photography enthusiast , Fuzel is app to have in your iPhone. Create cool collages using the wonderful features of this app that has a very intuitive UI. You can not only drop and combine photos but also add special effects and text to make beautiful; collages. The app allows you to import images from the phone and them cleverly fits them in a creative manner in the collage. The Typography Manual is a wonderful resource for you if you are a designer working with type. 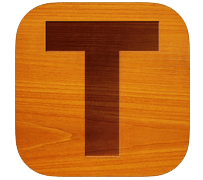 This app allows you to learn and even teach others lot of things about typography while on the move. It has a wealth of information on fonts and typography that includes basics of type, type on the web, typesetting, typeface specimens, style guide, and much more. 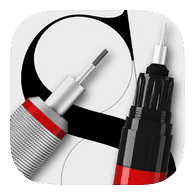 This is a wonderful measuring app for you iPhone that is very useful if you are a machinist, craftsman, or an artist. You can measure the dimensions of small items like screws, washers, nuts etc easily by placing them on the screen of your iPhone and starting this app. Drag the caliper until it fits the object placed on the screen and you know the length of the object instantly. 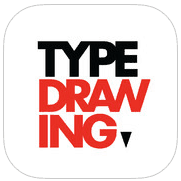 This is a beautiful and creative app that allows you to do drawing in letters. Just type on the screen a word or a sentence and turn it into a beautiful drawing after setting the background and choosing a font of your liking. You can also use the app to insert these letters into a sketch made by you to create stunning cartoons. 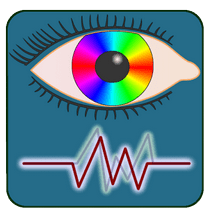 If you are a painter or a graphics designer dealing with colors, you will find Palettes a great app for creating color schemes. You can sample colors stored in websites, your computer, and inside your phone with the help of Palettes. 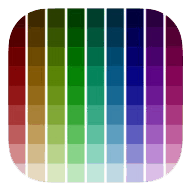 It is possible to export your color scheme to Adobe Photoshop. You can grab any color that you find attractive and eye catching when browsing over internet or by taking its mage using the camera of your iPhone. When designing a website, this color scheme comes handy when you do not find the color on the web for your purpose. If you are a designer required to make quick sketches to be translated into full fledged drawings later on, you need to be quick and efficient. ‘Sketches’ is one app for iPhones that makes it possible to draw sketches quickly. These sketches can be stored for later use. 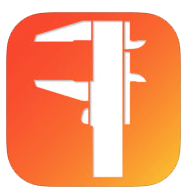 This app has many fantastic features and tools like brushes, clip art, and readymade shapes to make it really easy for designers to come up with sketches. How many times has it so happened that you met a client unexpectedly outside your office? It happens quite frequently and you are left ruing the missed chance of impressing him with your portfolio. 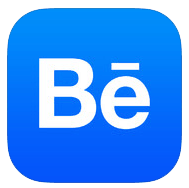 Behance is a wonderful app for you Phone that allows you to carry your portfolio along with you. You can share your work with employers and clients once you have downloaded this app in your iPhone. You can easily post your ongoing and completed projects in this app and also track the work of other designers. You can appreciate the work of other designers and also get comments from others on your own projects. If you are a designer, deciding on the price of a project can be a tough task. My Price is an app for iPhones easily lets you know the price you should quote for a particular project. You have to register yourself and provide information about your pricing structure before being able to use this app. This app obliterates the need to consult other designers before quoting your price for a project to your clients. 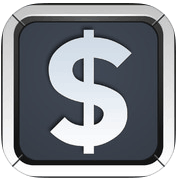 Download and use this app to not quote a price that is lower than what you get for your work. If you are a designer, you can get creative ideas anywhere, anyplace. If you get an innovative idea while you are inside a lift or on a train, you need not jot it down on a piece of paper for later use. 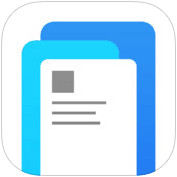 Paper is the name of a wonderful app for your iPhone that is based upon the premise that you need not be sitting in your workplace to be able to translate your dreams into reality. Just open paper and draw a quick sketch or the lines of your next novel. If you are a visual graphics designer, use Daltonizer keeping in mind the perspective of those who may not have a very good vision. 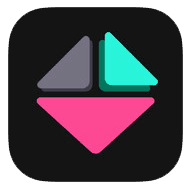 You can use this app to understand how your logo or design will be seen by others. 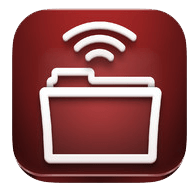 AIR Sharing is a productivity app for Phones that allows for sharing of files and documents between your phone and other computers. Drag and drop files using this computer to help you in your endeavors as a designer. This entry was posted in Mobile Technology and tagged iPhone Apps for Designers on September 1, 2014 by Yasir Lodhi.